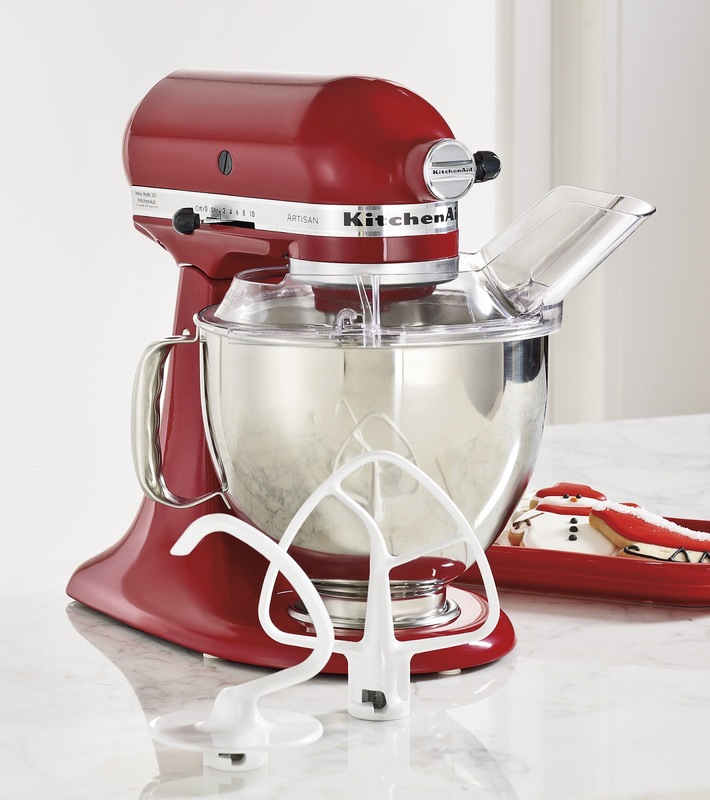 BonTon Style | virtual runway: Ultimate Sugar Cookies, a recipe from KitchenAid®! Ultimate Sugar Cookies, a recipe from KitchenAid®! Whether you're whipping up a batch of cookies for your child's class, or making dozens upon dozens for the annual exchange, baking tends to go more smoothly with the proper tools. And anyone who's ever used one will tell you that the KitchenAid Artisan mixer is the gold standard in kitchen appliances. Treat yourself before the holidays (you deserve it! And it helps with the baking, which means that everyone wins! ), or put one on your wish list. I promise you'll be glad you did! 1. Place butter and vanilla in bowl of KitchenAid stand mixer. Turn mixer to medium and beat about 2 minutes or until mixture is smooth. Gradually add sugar and beat about 2 minutes longer. Add eggs and beat about 30 seconds more. Stop and scrape bowl. 2. Turn mixer to low. Gradually add cream of tartar, baking soda, nutmeg, salt and flour to sugar mixture. Mix until blended, about 1 minute. 4. Once cookies are completely cool, decorate with your favorite frosting and holiday sprinkles.